A Class 5 or Class 6 vehicle with someone over 18 who has a full Class 5 driver’s licence. They must sit in the front passenger seat. If you successfully pass the knowledge test and vision test, you will be able to purchase a Class 7 learner’s licence card. You will be given a temporary licence that is valid for 30 days. Your physical license card will be mailed to the address provided in 21 days. If it hasn’t arrived in 21 days, call the number on the back of your temporary licence and you’ll be given instructions on what to do. Once you receive the licence card, please destroy the interim licence. 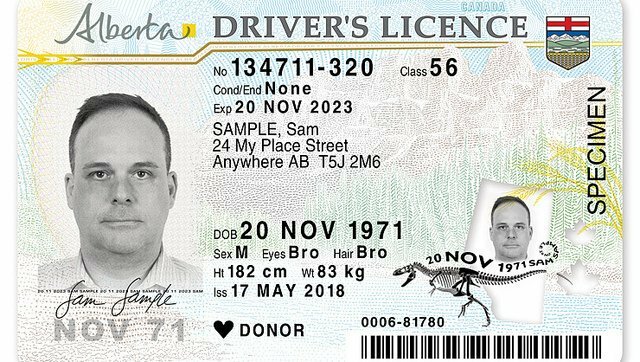 ​You must drive for 2 years with a Class 5 Graduated Driver's Licence (GDL) with no suspensions for the last year to be able to upgrade to a full Class 5 driver's licence. You will be given a temporary licence that is valid for 30 days. Your physical license card will be mailed to the address provided in 21 days. If it has not arrived in 21 days, please call the number on the back of your temporary licence and you’ll be given instructions on what to do. Before you can get a Class 5 Full driver’s licence, you must have a Class 5 Graduated Driver’s Licence (GDL) for at least 2 years with no suspensions in the last year. If you successfully pass the road test and vision test, you will be able to purchase a Class 5 Full licence card.